What Is Auto and Home Insurance? Agents are usually licensed to sell both auto and home insurance; therefore this section will cover both types of insurance careers. Auto and home insurance policies protect the insured from financial losses due to damages to their cars and homes. Auto policies protect against damages from accidents, theft, bodily injury and medical claims. Home policies protect against damages that arise from accidents and acts of nature. An agent with an insurance career in auto and home insurance must also be aware of additional coverage that pertains to each policy, such as, adding glass coverage to an auto policy or adding personal articles coverage to a homeowner’s policy. People who want an insurance career selling auto and home insurance will need to decide if they want to be a “captive” agent who can only sell one company or work through an insurance “broker” who can offer policies under many different companies. Why Choose an Insurance Career in Auto and Home Insurance? The auto and home insurance industry is booming. The Bureau of Labor Statistics anticipated a 13% increase in jobs for insurance sales agents between 2006-2016. Most states require drivers to have auto insurance policies to be able to operate a vehicle. When starting an insurance career in auto and home insurance getting your Property and Casualty License allows you to sell both policies, so there is a tremendous opportunity to sell both types of insurance to the same client. Also, most carriers offer discounts to clients for purchasing both policies together. With this insurance career, agents can either be paid on commission or salary depending on the arrangement with the agency. According to PayScale.com, salaries can range between $20,000 and $90,000 annually. Who Would Excel at an Insurance Career in Auto and Home Insurance? Those interested in an insurance career in auto and home insurance need to be able to sell insurance and possess strong customer service skills. To be successful in an auto and home insurance job, an agent needs to learn the ins and outs of the policies they are selling and work to understand and listen to the specific needs of their clients. The auto and home insurance industry is a reactive industry; therefore this career is not as sales and marketing oriented as a life or annuities insurance career. However, with this job, it is service intensive. As an agent in this career you are required to assist clients with claims and service their account on a regular basis. There is usually no requirement that those looking for an insurance career in auto and home insurance need to hold a college degree to obtain a license. However, an agent must prepare for and pass a state Property and Casualty license exam to obtain a license to sell insurance before he or she can start writing business. In some states you may need to register your fingerprints. The section below outlines how to get started in an insurance career selling auto and home insurance. An agent in an auto and home insurance career is required to obtain a Property and Casualty License from the state that he or she wishes to sell policies in. The following is a short list of the basic process of starting an insurance job in auto and home insurance. Complete Pre- Licensing Education: Learn the rules and regulations of your state’s insurance industry. You may be required to attend classes, but some states allow you to study at your own convenience. You will be issued a certificate for completing these state certifications and at that point you are permitted to take the state exam to become licensed as an auto and home insurance agent. Take the State Property and Casualty Exam: Contact your state’s insurance department to find contact information for your local testing center. In addition to the self-study option, there are in-person and online schools/courses that you can attend. Once completed, you will bring the course completion certificate to the testing center on the day of your exam. After you have successfully completed the state Property and Casualty exam and paid the licensing fees, you are then issued your Property and Casualty license. Get Contracted: To start your insurance career and begin selling auto and home insurance, you can work directly for a carrier or decide to work through an established agency or brokerage firm. 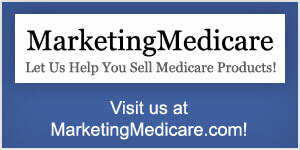 Working for an insurance company provides more structure for someone new to the industry. Working for an established agency or brokerage firm typically provides more income potential as you are basically working for yourself with the support and training of a brokerage firm. Additionally as an independent broker agent, you can offer multiple carriers’ plans to your clients, which is an advantage if you have a client who may not meet a specific company’s criteria or who may need a lower monthly rate. Get Started: Your insurance career starts NOW! 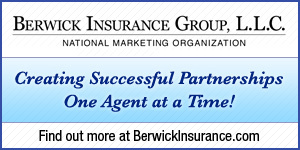 Contact us to launch your career as an Auto and Home Insurance agent today.